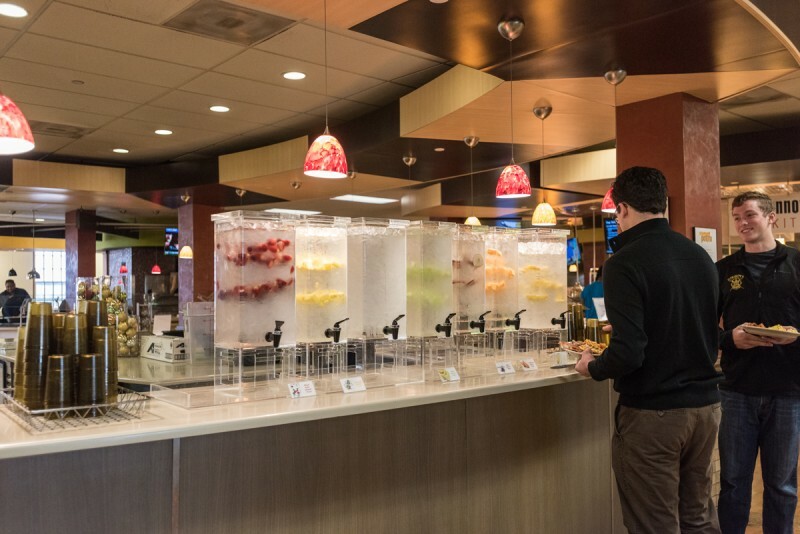 HARTFORD, Conn. — The main dining hall at Trinity College starts you off with a choice of infused water: lemon, pineapple, strawberry, melon. There are custom-made smoothies, all-day breakfasts, make-your-own waffles, and frozen yogurt, along with countless choices of entrees hovered over by white-jacketed chefs. 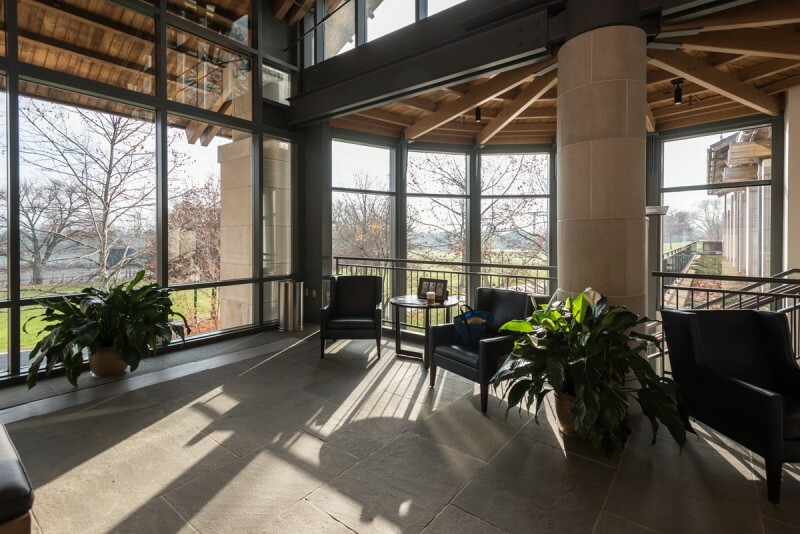 Sun pours in through windows overlooking the leafy, manicured campus fringed with stately red brick dorms and classroom buildings past which students stroll with their noses in books. A new student center that will include a Starbucks is going up beside the tennis courts. As a college worker clears her dishes, one senior talks over lunch about the job she’s already lined up after graduation with the help of an alumna. 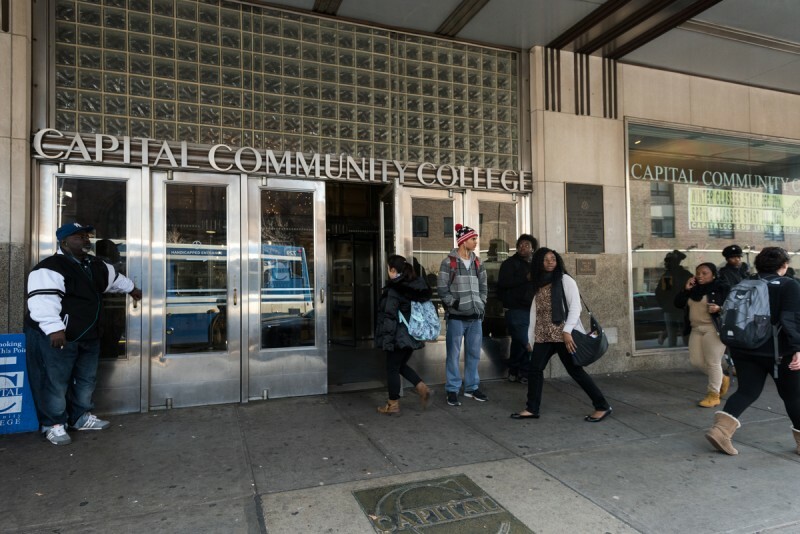 Across the city, off an exit from an elevated highway, other students dodge downtown traffic to squeeze into the sluggish elevators in time for the start of their classes at Capital Community College. 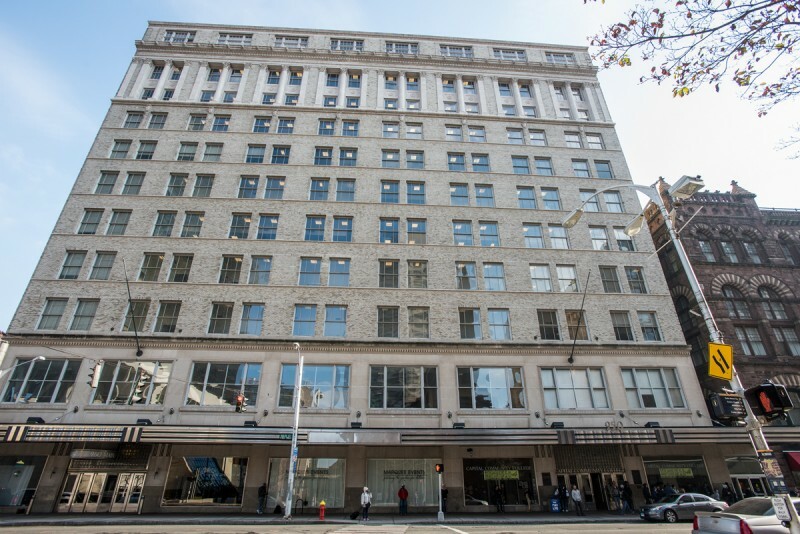 This campus consists of a concrete parking garage and a onetime department store converted into classrooms and offices. There’s a campaign here to start a food bank for students who can’t afford food, even though many work full time. Many also are raising families. Students from high-income families are eight times more likely to get bachelor’s degrees by the time they’re 24 than those from low-income families. Because of stagnant household incomes, and because more low-income students are successfully completing high school and being pushed to go to college, the proportion of all students who qualify for federal Pell grants, reserved largely for the children of families with incomes of around $40,000 or less, is up by almost a third since 2008, to 49 percent of undergraduates. But the federal figures show that some of the nation’s most elite private universities and colleges — the category that includes such lush green, lavishly equipped campuses as Brown, Columbia, Duke, Georgetown, Yale and Stanford — are taking only a few more of them than the very small percentages they always have, up from 12 percent of their total student bodies, on average, to 15 percent now. Elite flagship public institutions such as the universities of Oregon, Texas at Austin, Washington, Colorado-Boulder, Maryland, Connecticut, and Georgia Tech do slightly better; there, the proportion of students who are low income has grown from an average of 20 percent to 28 percent. But that’s only half the proportion of college students nationally who come from low-income families eligible for Pell grants. Just as in 2008, only a little more than 10 percent of students are low income at Trinity, for example, which spends two and a half times more per student on instruction than Capital Community College. 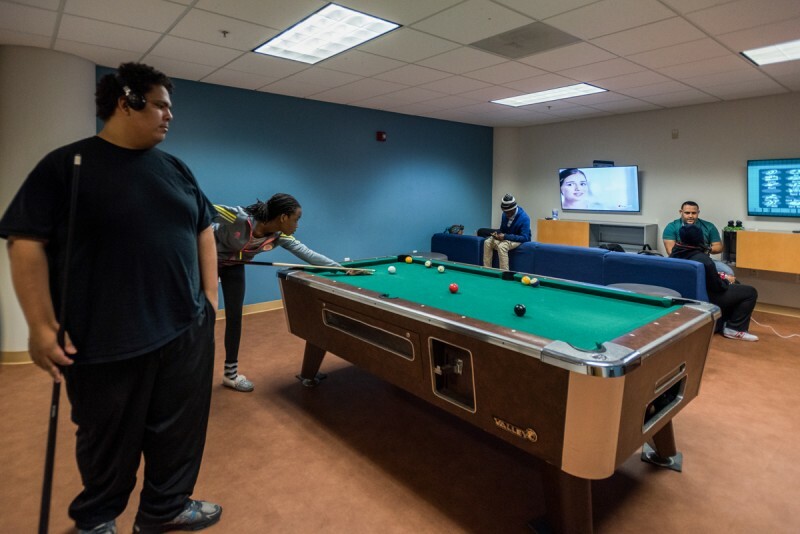 At Capital, nearly 60 percent of the students are low income — up 12 percentage points since 2008 — while the budget for student services has actually declined. So has instructional spending, thanks in large part to cuts in its appropriation from the state. Taxpayer outlays for community colleges nationwide are down almost 5 percent since 2008, and some state financial aid has been shifted to students who go to private colleges and universities. “There are other things we’d like to provide, but we can’t,” said Capital’s president, Wilfredo Nieves. It’s not about academic ability. The lowest-income students with the highest scores on eighth-grade standardized tests are less likely to go to selective colleges than the highest-income students with the lowest test scores, according to the Education Trust, which advocates for students who are being left behind in this way. If they do manage to make it to a top school, many do well — at Trinity, for instance, finishing with even higher graduation rates than their wealthier classmates. Yet more than a fifth of those high-achieving low-income students never go to college at all, never mind to top colleges, the Education Trust says. Only 16 percent find their way to highly selective schools, and fewer than half continue their educations anywhere, compared to nearly all of their wealthier counterparts at every level of ability. Cost is a principal reason, of course. Average tuition has more than doubled since 1970 when adjusted for inflation, according to the Pell Institute, and income and financial aid have not remotely kept pace. Among other reasons for the huge tuition increases: the pricey arms race in amenities to attract higher-income students, a huge increase in the number of administrators, and other non-academic expenses, all fueled by the easy supply of government-subsidized loans. In 1975, the maximum federal Pell Grant covered two-thirds of the average cost of college; today, that’s fallen to about a quarter. So while a higher education is a strain for even the wealthiest families, who will annually spend an amount equal to 15 percent of their earnings on one, the lowest-income families have to pay, on average, the equivalent of 84 percent of their earnings. This at exactly the time when median family income has increased for the wealthiest Americans but flattened off or fallen for the poorest. Colleges and universities have their own financial preoccupations. Public universities, for instance, faced with declining state funding, have chosen to not only make up for this by raising their tuition, but by recruiting higher-paying out-of-state students. They and private, nonprofit colleges and universities are offering wealthier applicants billions of dollars in financial aid that once went to lower-income ones, the U.S. Department of Education found. While private colleges and universities often say that they give lots of money in financial aid, they don’t specify who’s getting it, and the proportion of students who get aid for reasons other than need has doubled in the last 20 years, the department found. Another of those reasons: Students from schools in higher-income suburbs usually do better on college entrances exams such as the SAT and other measures that make the universities and colleges that accept them look better in national rankings. 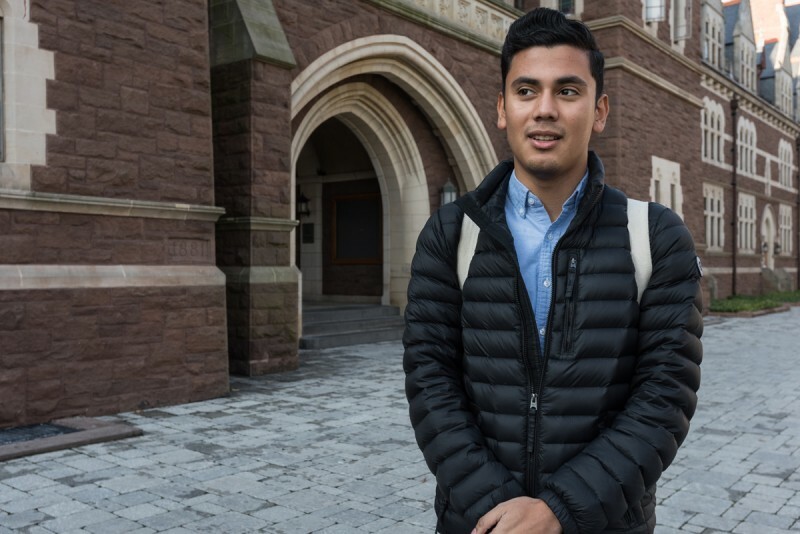 “We’ve almost built this system that isn’t set up to open its doors to low-income students,” said Angel Pérez, Trinity’s vice president of enrollment and student success. It’s not just colleges and universities that have shifted their financial aid to more upscale recipients. So have some states, in an effort to stop high-achieving and often high-income students from moving away; 12 states plus Washington D.C. now spend more on so-called merit-based aid than on need-based aid. In 15 states, less than half of taxpayer-funded financial aid now takes financial circumstances into account, the College Board reports. 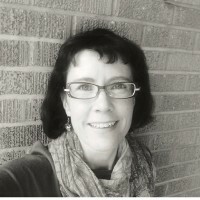 Some federal financial-aid programs, such as work study, have also been shown to disproportionately benefit wealthier students; nearly one in five work-study recipients — who earn an average of $1,642 each, per academic year, by working in dining halls, libraries, and other places on and off campus — comes from a family whose annual income exceeds $100,000, according to research conducted at Teachers College, Columbia University. And even though only one-fifth of American households earn $100,000 or more per year, and 13 out of 14 of them would have sent their children to college even without them, those families get more than half of $34 billion a year in politically popular federal tuition tax credits, the Tax Policy Center calculates. Even private scholarships from the likes of Rotary clubs and others disproportionately go to wealthier families whose parents and college counselors know to apply for them. Nearly 13 percent of students from families that make more than $106,000 a year get private scholarships, compared with about 9 percent of those whose families earn less than $30,000, according to the Education Department. In fact, since 2008, lower-income students have seen the amount they pay, after grants and scholarships, rise even faster than it has for their higher-income classmates. Meanwhile, families in the top 10 percent of incomes have vastly increased what they spend on such things as test preparation, private schools, and other things meant to give their kids a leg up in admission, according to a report by the Stanford Center on Poverty and Inequality. Students from higher-income families are far more likely to use the kind of so-called “college enhancement strategies” elite institutions’ admissions offices take into account, including community service and extracurricular activities, scholars at New York University reported in November. Resumé-building may be the last thing on many lower-income students’ minds. In many cases the first in their families to go to college, they’re often derailed by the complicated process of not only making themselves look good to admissions officers, but simply applying for admission and financial aid. For them, college counselors may not be available to help much either. The average public high school college counselor is responsible for 471 students, according to the National Association of College Admissions Counselors — an average dragged down by the even higher ratio in schools that serve low-income students. That means college counselors in public high schools juggle about twice as many students apiece as is recommended by the American School Counselor Association and almost five times the number counselors in private schools work with. “Try to be that student and see if you can navigate our complex institutions of higher education,” said Estela Mara Bensimon, professor of higher education and co-director of the Center for Urban Education at the University of Southern California. If lower-income students do manage to overcome these odds and enroll in college, they face still more hurdles. More of them work while enrolled, the U.S. Department of Education reports. Especially on elite campuses, that reinforces a socioeconomic split. For that, along with financial reasons, Hamilton said, lower-income students often quit. 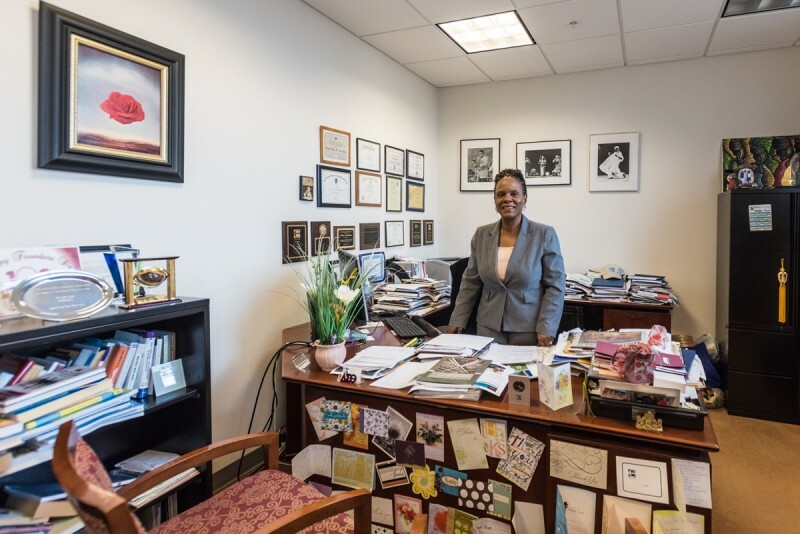 “If they even make it to a flagship university in the first place, which is extremely unlikely, a lot of them can’t stay there, and a lot of them leave because of the total isolation and segregation,” she said. And where the data show they land — or start in the first place — is at private for-profit schools, open-admission regional public universities, and community colleges like Capital, with vastly lower levels of support than at top schools populated largely by higher-income students. What students in those poorer institutions get is far inferior to what their counterparts at richer schools enjoy. The dropout rate at community colleges is higher than it is at high schools; while 81 percent of students who start in one say they eventually want to transfer and earn at least a bachelor’s degree, only 12 percent of them do, the Century Foundation reports. 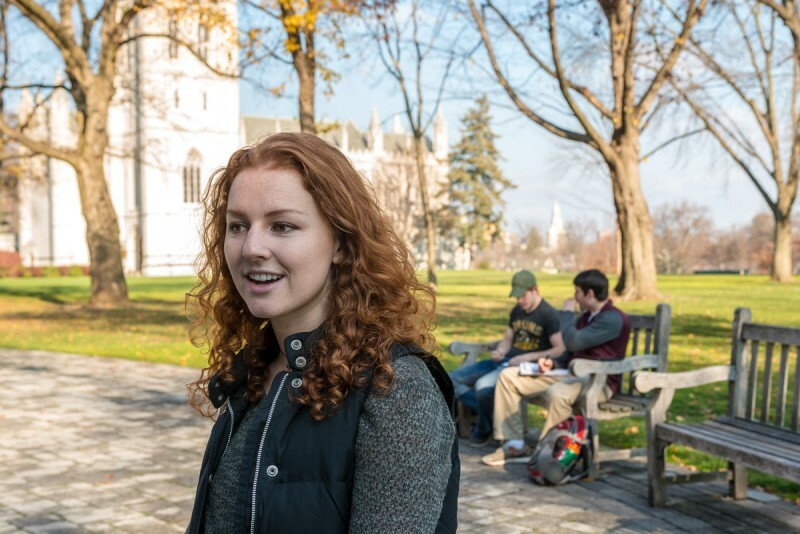 At Trinity, by comparison, “For me and I know for most students here, my only worry is getting my homework done, because everything else is sort of given to us,” said Miguel Adamson, an international studies major, sitting under a tree on the campus working on his laptop. Members of the squash team pass by through arched passageways hung with flyers advertising an organ recital and internship and study-abroad programs, and another student outfitted in Vineyard Vines apparel stops by to say hello. “These sorts of schools are places where you can really see the economic divide, especially between people who get a lot of financial aid and people who don’t, even by what they’re wearing,” said Adamson, who went to private school in Washington D.C.
Other Trinity students think about this rift, too, said Rose Carroll, a senior political science major from Pasadena, California, who already has a job lined up for when she graduates in the spring, thanks to the help of an alumna. “The low-income students really want to be somewhere else. If they had a choice, they wouldn’t want to be at the parking garage and the old department store. They would want the same opportunity of the students at the private colleges,” said Maureen Hoyler, president of the Council for Opportunity in Education. If they do graduate, these students still are at a disadvantage. 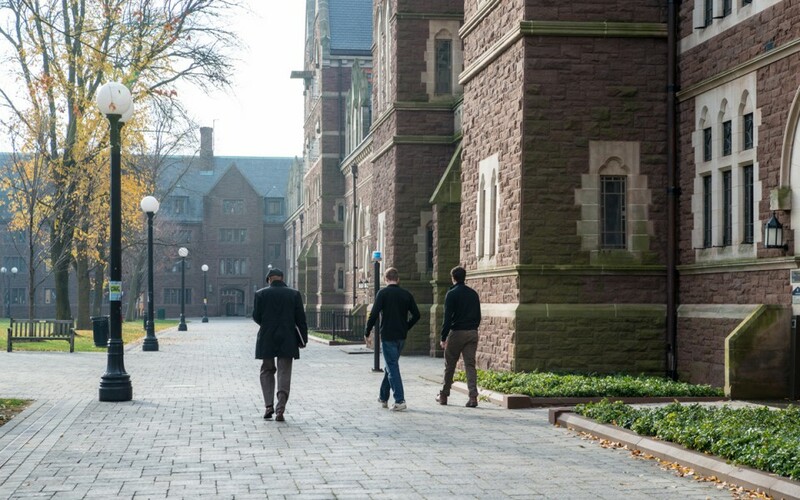 They lack the alumni networking advantages that students finishing elite schools get. 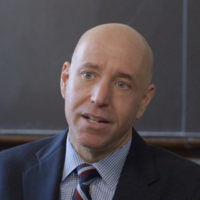 Research at Northwestern University’s Kellogg School of Management finds employers disproportionately prefer graduates from prestigious colleges who have participated in extracurricular activities such as playing lacrosse and squash and who have served in internships — pursuits less likely to have been available to lower-income students. “If we’re going for the same job, they’re going to pick the kid from Trinity,” Lopez, the Capital Community College student, said with a shrug of resignation. It’s not that universities couldn’t take more lower-income students if they wanted to — especially top public universities with high graduation rates but low proportions of such students now — an October report from the Institute for Higher Education Policy found. Only 15 percent of the students at Penn State’s main campus, for example, are lower income, but the study showed that double that proportion would likely qualify for admission. If the university accepted them, some 900 more lower-income students per year would finish there. If the same thing happened at all the universities and colleges that now take fewer lower-income students than they could, the report concluded, 57,500 more of them per year would graduate with bachelor’s degrees. Among other things, advocates are pushing for private universities and colleges to be required to increase their enrollments of lower-income students in exchange for continuing to receive billions of dollars of tax exemptions. Leon Lewis hopes that isn’t true. A student at Capital Community College studying social work, he wants something better for his three children. 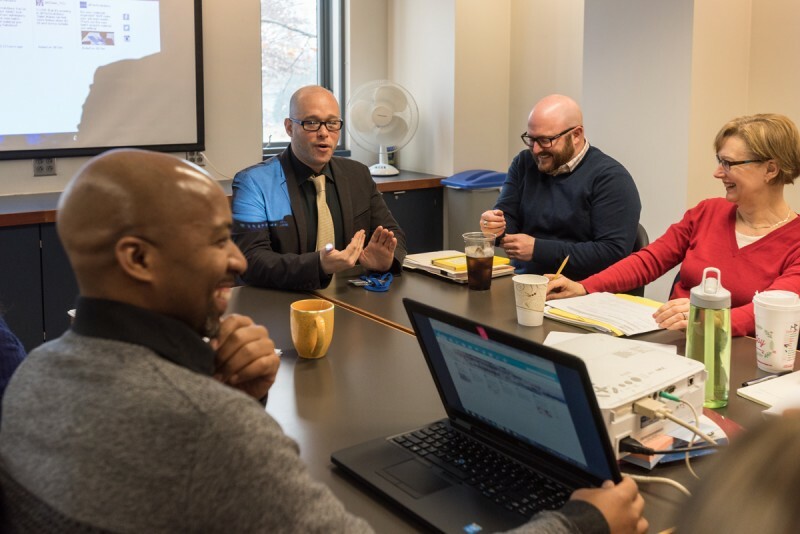 This story was produced by The Hechinger Report, a nonprofit, independent news organization focused on inequality and innovation in education, in collaboration with the Huffington Post. Read more about higher education. Want to see the original data used for this story? Click here for the spreadsheet.